She let it burn. And it melted. And spilled over onto the floor. I crouched down to catch the dripping wax. While my fingers burned, she rolled her eyes. And that was all she said. It wasn’t the first time she’d said that. But it would be the last. The wax would dry hard into the rug. The cabinet would be marked forever. The scar across my knuckles: visible until the day I died. Before she left, she pouted her lips and blew out the candle, leaving me alone in the dark. So many story questions in this piece – lovely. And I like how you resisted her being knocked off at the end. 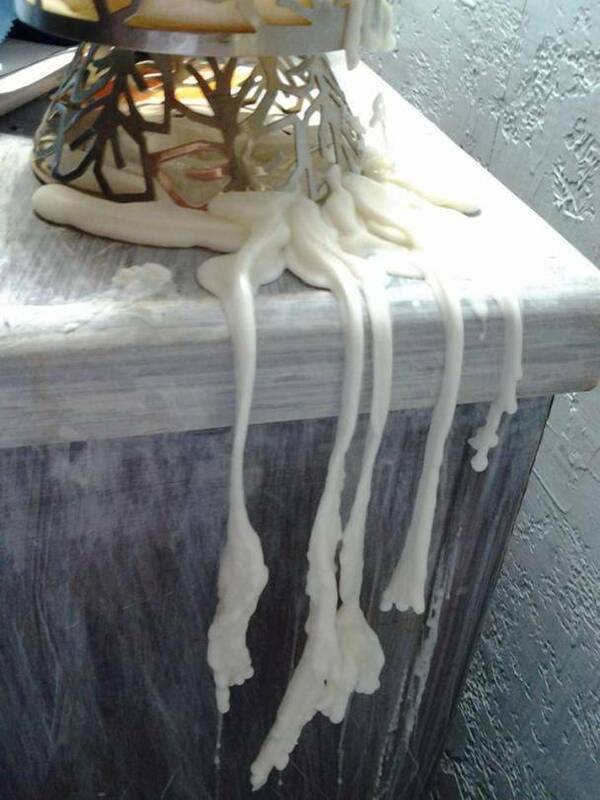 Vivid story – candle wax can destroy a lot of things. this is a story I really like.. so many open ends here… things just happen that way. I’m kind of ambivalent about this story. It’s well-written, just kind of leaving ME in the dark. Good job, though, Jessie! You captured a slice of life. Yes! Absolutely! Chapters of the same book, perhaps? Nice writing – as always, but was a bit in the dark also regarding the ending. Very intriguing. A mixture of concrete and abstract that requires the reader think! Great! Thanks Di. It’s funny because this one was so clear in my head! Anger. Obstinacy. Physical and mental pain. Open end. What’s next? So…it’s the last time Janet will admonish her to lighten up. Does that mean there is murder afoot? Questions, questions…. I wasn’t thinking murder but you never know when Janet’s involved! Hot wax can really burn. Ouch. However, while the descriptions were vivid and easy to understand, the story’s a little vague. Perhaps that’s your intent? Feels like an excerpt from something larger. Hi Rochelle, seems like most agreed with you on the vagueness. I’ve described above how I saw it, but I’ve learned a lot from this week about being too abstract. Thanks for your comment! Agreeing with the questions above, but glad that Janet got to walk away. After a re-read wondering if the main character was off’ed? hehe, way to keep us guessing! I like how this is written, but in the middle where you say, “would be her last” kind of threw me down the wrong path. Seems to be a common theme of confusion this week. Thank you for reading! Ooh, I could pick this up and continue in so many ways – brilliant! Thank you Freya, glad you liked it! Ouch! I’ll make sure I use a coaster if I ever come round yours! Brilliantly done. Very realistic.